You know what’s nice? When those at the top decide to do something for the little people. That’s what America’s next first daughter is doing: Ivanka Trump was auctioning off a “private coffee” to the highest bidder for charity. But there were some clear ethical concerns, whether or not the soon-to-be first daughter realized it. 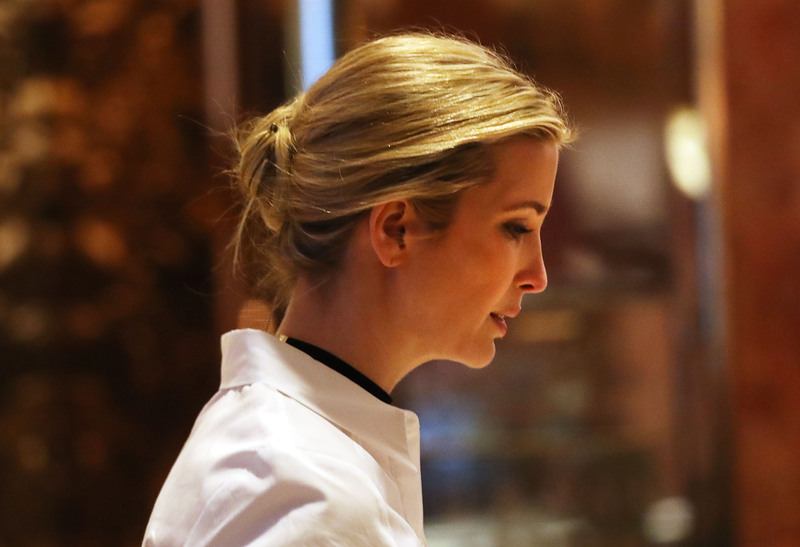 An article in the New York Times pointed out that the top bidders for Ivanka's coffee were high-profile businessmen who were potentially eager to gain access to the next president of the United States through his daughter — and were willing to shell a few tens of thousands of dollars in charitable donations. One bidder, Ozan M. Ozkural indicated that he "wanted to meet with Ms. Trump — who is considering playing an informal role in her father’s administration — to gain insight into topics like President-elect Donald J. Trump’s possible future dealings with Turkey and other nations where Mr. Ozkural invests," the Times reported. Eric Trump told the New York Times that he realized it was a "new world" since his father won the presidency, though did not say whether he would shut down the auction. Ivanka said it was an "honor" to raise “additional money to benefit terminally ill children through the donation of my personal time." The site hosting the auction, Charitybuzz.com, took down the auction as of Friday morning. Charitybuzz.com has not publicly commented on why it did so. Links to the auction page redirected visitors to their homepage with no explanation or clarification. At the time the auction disappeared, the high bid was $67,888, and the next possible bid was $77,888. The proceeds from the auction were going to go to the Eric Trump Foundation to Benefit St. Jude Children’s Research Hospital. Trump consistently skewered Hillary Clinton for the supposed “pay-for-play” running of the Clinton Foundation, even though I believe the evidence that it took place was pretty sparse. The irony is that this coffee auction suggests Trump's daughter may have come close to doing the same. Then again, Trump's "pay-for-play" allegations against Clinton were more than a bit hypocritical. Glenn Kessler at the Washington Post noted that GOP candidate faced his own potential pay-to-play violation, involving a $25,000 donation given to Florida Attorney General Pam Bondi, possibly in exchange for her dropping charges against Trump University. Trump denied that was the purpose, but as Kessler noted, "If his contribution to Bondi is not pay for play, by his standards, then he has even less evidence in the Ericsson case to level this charge against Clinton." This kind of deep, flagrant hypocrisy is becoming a staple of the nascent Trump administration (as it was a staple of the campaign), and might require it’s own term: Trumpocrisy: the ability to say and do things that are not only in conflict with previous statements, but appear engineered to directly contradict them. The most important thing is that we don’t become inured to Trumpocrisy. The whoppers are only going to get bigger and more blatant — and we have to call out Trumpocrisy every time we see it.